I was lucky enough to have Michael Brinkert photo his mostly original series C Rapide for historical reference. 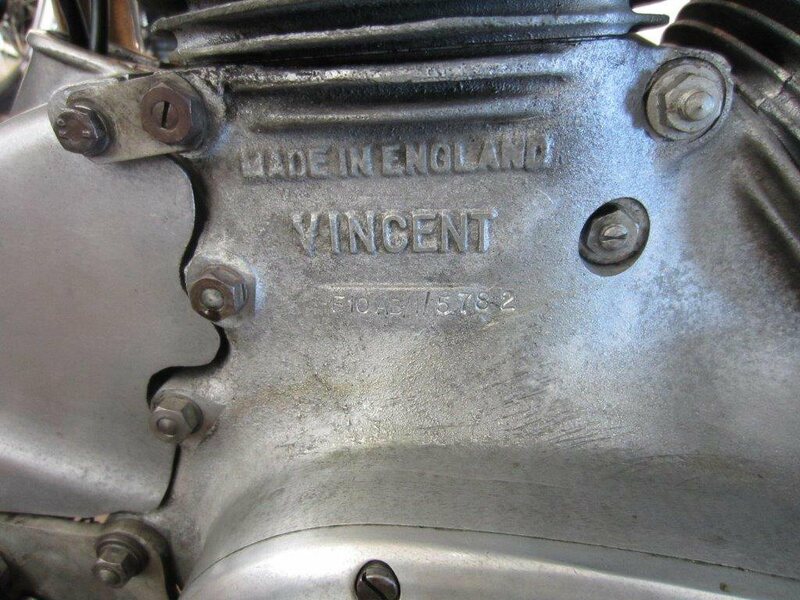 It is the intent of this page to photo review series C Vincent for restoration reference. It is not the intent to imply that these details are correct for all series C, but simply a snap shot in time of a well preserved series C Rapide Vincent example. 1)the physical appearance of the cast boss below VINCENT for engine number stamping. 2) stamping font and font sizes for this particular point in time. 3) nut fasteners, thickness and size. 5) plated side stand plates. I see traces of silver paint on a couple of the nut/studs. Slightly bent bottom muff fin indicating service. 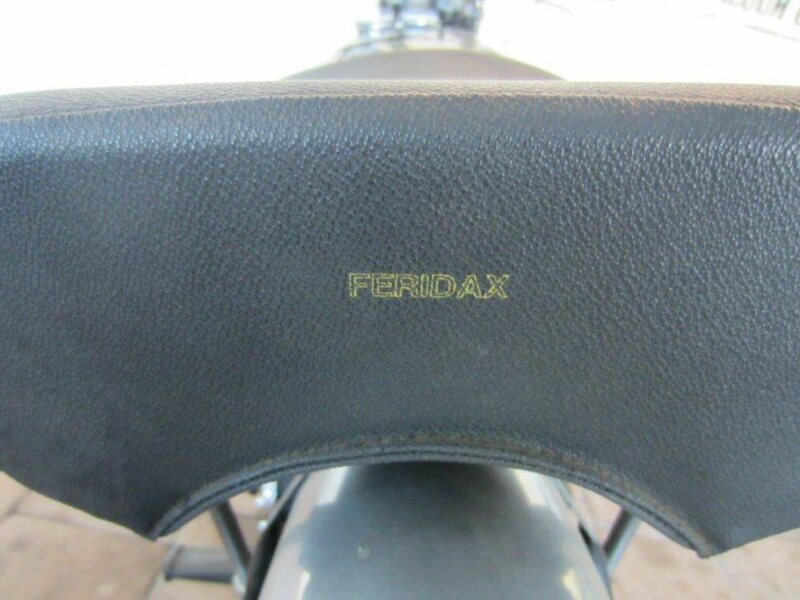 FERIDAX logo is printed on seat tail. 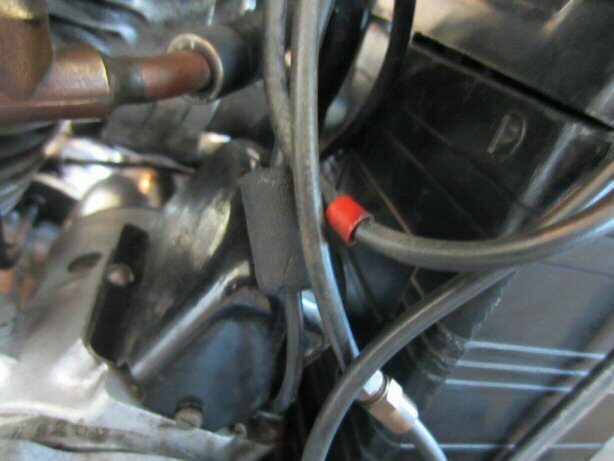 PR38 connectors still in place, one with rubber cover, the other without. Red ID sleeve on Battery positive cable has slid down but correct size and appearance, simply needs to be closer to terminal. 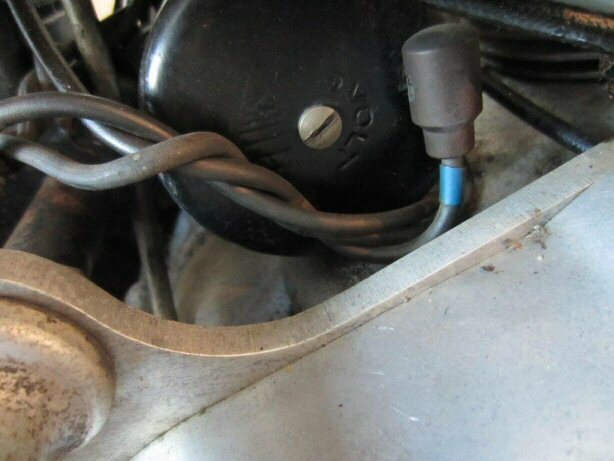 Miller voltage regulator cover appears backwards with cut outs in cover at the primary side ....should be at transmission end.